Whoa, it has been so long since my last post. I have been so busy and now I am finally coming up for air. Between my son being out of school, the holidays and bunch of photoshoots I am slowly coming back to normal. 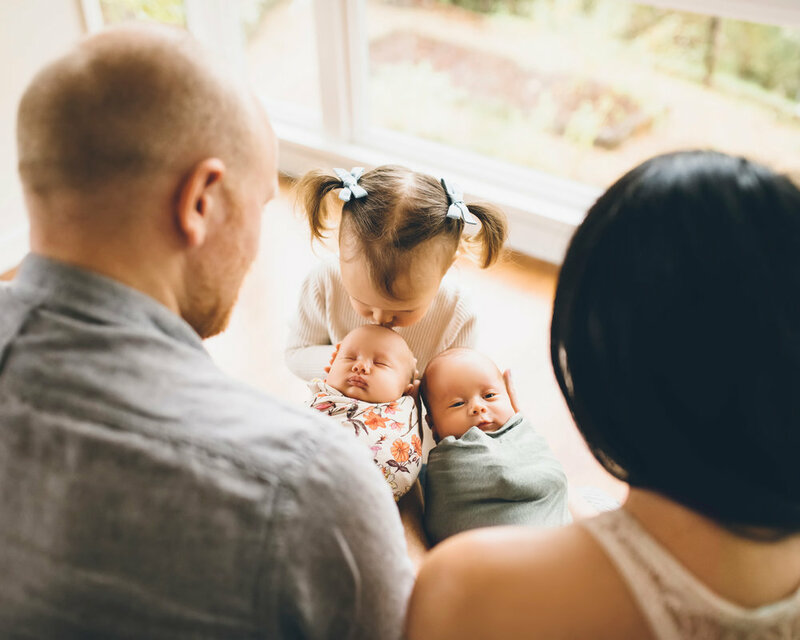 I can not wait to blog about the sessions that I did but for now I have a teaser shot from a lifestyle newborn session with twin babies and their three year old big sister. I don’t get to photograph twins all that often so I was super excited and ready for the challenge. I will be posting a more complete blog post very soon from this session. It’s definitely one of my recent favorites in the newborn category. With little to no prompting this little three year old girl was cuddling and giving her brother kisses during the entire photoshoot. It was unbelievable. Her parents told me that she is in awe of them and that she thinks they are just the cutest. I happen to that too.